There's no doubt a home located in a gated community which utilizes a traditional keypad for entry does offer an extra layer of protection against trespassers and unwanted guests. However, the security provided by living in a community where a guard mans the gate 24 hours a day, 365 days a year takes that level of protection to a different level. 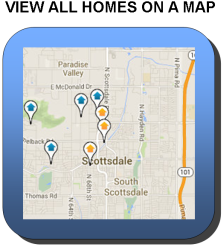 From this page you are easily able to browse all Scottsdale homes for sale in guard gated communities from the AZ MLS. Our listings are updated daily, so you can be confident you are viewing the most accurate and up-to-date information available. To get started, simply click on one of the buttons below to view all available homes on a list, or view properties by their location on a map. We've seen it time and time again where someone pulls up to a gated community and just waits for someone to open the gate with their clicker, and then drives in the gate behind them to gain access. Contractors do this, FedEX drivers do this, looky loo's do this, heck we even do this when we're showing a property and the listing agent fails to put the gate code in the private remarks section of the MLS listing. If you're looking for a true extra layer of security, a home in a guard gated subdivision is going to be your best option. Why are the homeowner associatiion dues higher in these communities? To begin with, once you place a gate on a community, the city is no longer for things like road maintenence. Instead, those costs are passed divided among each homeowner. However, the single item which contributes the most to the higher HOA dues is the cost associated with paying a security guard to man the gate 7 days a week, 365 days a year. 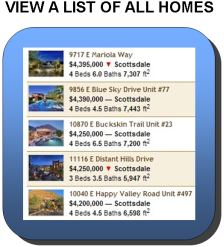 Although there's exceptions to the rule, many of our guard gated communities are located in North Scottsdale such as Terravita, The Boulders, McDowell Mountain Ranch, Scottsale Mountain, Grayhawk and Scottsdale Country Club and Gainey Ranch.